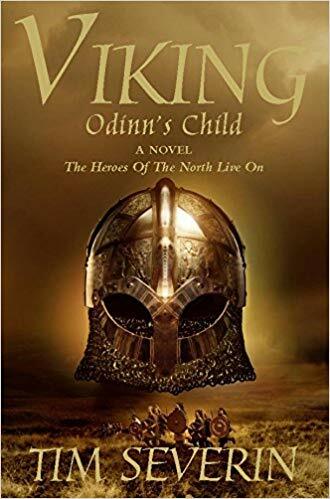 “The heroes of the north live on” and when the second book opens (it goes straight on from Viking: Odinn’s Child, and does not attempt to stand alone) Thorgils, now nineteen, is in London, being introduced to the pleasures of love by Aelfgifu, Knut’s beautiful Saxon queen. But this delightful situation cannot and does not last. All too soon, Thorgils finds himself back at the bottom of the heap and has to begin once more fighting his way to the top. He spends time working (as the queen’s eyes) at a mint in London, but is forced to flee when he clashes with both the archbishop (over the queen) and the owner of the mint (over the forging of illegal currency). When he travels on, Allba is expecting his daughter. In the third and final book in the trilogy, King’s Man, Thorgils is right at the centre of the new world of the White Christ, Constantinople. But the title is misleading, for it is not the Byzantine Emperor (or later Empress) he serves whose man he is; on the contrary, the king in question is a Norwegian adventurer named Harald, another mercenary in Constantinople who happens to have a claim to the throne of Norway and whom Thorgils follows when he heads north with his men. When the chamberlain fetched me that evening and brought me to the king’s private apartments, I was shown into a small room furnished only with a table and several plain wooden chairs. The light came from a single candle on the table, positioned well away from the woman in a long dark cloak seated at the far end of the room. She sat in the shadows, her hands in her lap, and she was twisting her fingers together nervously. The only other person in the room was Mac Bethad, and he was looking troubled. His version of this story had me spellbound, but turned out to be only an interlude, quickly abandoned. I have rarely been so disappointed, suddenly, in the middle of a book. Also unforgetable is his depiction of primitive people living in the forests of the north (in this book Folkmar and Runa on the borders of Sweden and Norway, in Sworn Brother Allba and her family, and how Thorgils comes upon them and is welcomed by them and stays with them and adapts to their way of life, and finally has to move on, leaving in one case a baby and in the other twin children behind him. But the first half of the book (more – 200 pages out of 320) is composed of intrigue in Constantinople, which has been done better by many other writers from Henry Treece down, and much even of the last hundred pages is an attempt at presenting the story of the Norman Conquest from an outsider’s viewpoint and of no particular interest. However, and that said, the whole trilogy is worth reading for the good parts: they are gems, and unforgettable. And what is more, I for one would love to read a sequel – as in Hitch-hiker’s Guide to the Galaxy, the fourth book of the trilogy! What happens to Thorgils after he leaves the monastery? Does he in fact head north again when he “disappears”? Does he find his children, the twins by Runa? What happens to them? We are given a mouth-watering hint of their significance (the twins named after Frey and Freya) but nothing more. Do I believe that my mother’s fetch appeared at Nether Ness? If I told that same story here in the scriptorium and changed the details, saying that she had reappeared emitting a strange glow and holding a copy of the Bible, my colleagues would accept my version of events without hesitation. So why would not the farmers of Snaefells be just as convinced that she had reappeared? Farmers can be as credulous as priests. There is hardly a soul in that remote farming community who doubts that Thorgunna came back to haunt the stingy farmer at Nether Ness, and while there might be an earthly explanation for the happenings at Nether Ness, until this explanation is supplied I am prepared to accept the supernatural. During my lifetime of travels I was to see many odd sights that defy conventional explanation. Within a few years of my mother’s death I too encountered a fetch, and on the eve of a great battle I had strange and vivid forebodings which proved to be accurate. Often I’ve witnessed events which somehow I know that I have seen before, and sometimes my dreams at night recall events that are in the past, but sometimes they also bring me into the future. The facility for seidr is improved by apprenticeship to a practitioner, but there must be a natural talent in the first place, which is nearly always a question of descent. Volva and seidrmanna come from the same families down through the generations, and this is why I have spent so much time writing of the strange circumstances of Thorgunna’s departure from this life and the hauntings: my mother gave me neither affection nor care, but she did bequeath to me a strange and disturbing gift – a power of second sight, which occasionally overwhelms me and over which I have no control. 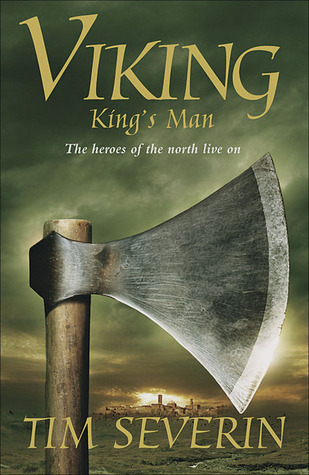 “The heroes of the north live on” it says on the front cover of the paperback edition of this first novel by the travel writer Tim Severin: they do indeed, and we slowly become fully involved in their lives and sympathetic to them and the Old Ways, the ways of the followers of Thor and Odinn and Freya, rather than to the followers of the “White Christ” and the new ways their priests are bringing into the north. If you do not already know, from reading books like The Brendan Voyage (the story of Tim Severin’s crossing of the north Atlantic in a curragh, to show – Thor Heyerdahl style – that it can be done, that St Brendan could have crossed to North America long before even the Vikings), then you very soon realise that you are in the hands of an expert; that Severin knows the north Atlantic, the Orkneys, Iceland, Greenland, and the seas that separate and connect them, as few others do. He also displays a vivid imagination and a true capacity for recreating the past, in this case the world of Eric the Red and Lief Ericsson, which is slowly being swamped by the aggressive – often brutal – proselytising of the priests of the White Christ. 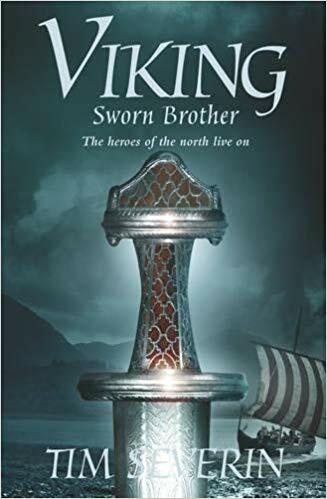 Thorgils, the protagonist and narrator, is the illegitimate son of Lief Ericsson and a mysterious Irish volva (witch) named Thorgunna, who arrives at Birsay in the Orkneys, home at that time of the earls of Orkney, where Lief Ericsson happened to be wintering as a guest. From her, Thorgils inherits the Sight, and from his father, perhaps, his lifelong wanderlust, and also his lifelong adherence to the Old Ways: he never has any intention of converting to Christianity, either now, or later, or even on his deathbed. So, having been born on the cusp of the new millennium, I was named as a pagan at a time when the tide of the White Christ was beginning its inexorable rise. Like Cnut, the king in England whom I later served as an apprentice court poet, I soon knew that a rising tide is unstoppable, but I resolved that I would try to keep my head above it. He is still a pagan at the age of seventy when, living as a monk in a Christian monastery, he writes the memoirs of which this book is the first instalment, taking us up to Thorgils’ twentieth year and a narrow escape from death in Ireland. In this book, Severin creates a world you come to know in all its wealth of detail and to feel at home in, and which you are finally reluctant to leave, and that for me is always the acid test. And I was so reluctant to leave it that I immediately read the second and third volumes in the trilogy. Reviews coming up tomorrow ans the following day.